Unravel the webs of intrigue against the Vikings and bring peace to their lands! Ragnar's kingdom is in danger again. A huge army of black knights, witches and giants approaches his lands corrupting everything in its path. Ragnar calls his friends to arms and moves out to fight the evil to end this struggle once and for all. The 4th installment of your favorite resource-management series awaits! The most epic of Ragnar's adventures! New fascinating locations to explore! Control 3 different characters, each with special skills and abilities! 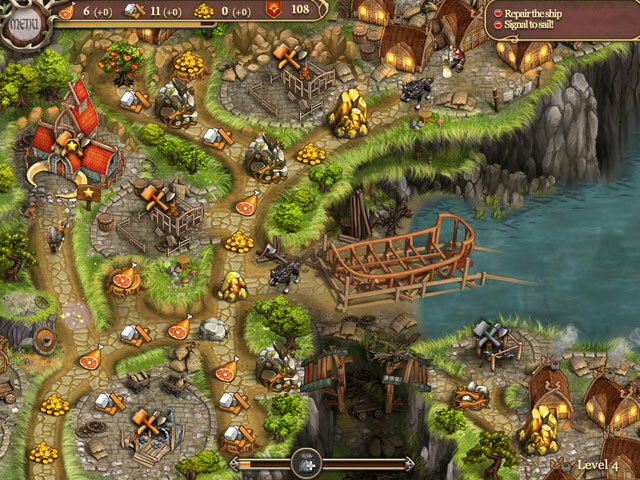 Unravel the web of intrigues against the Vikings and bring peace to their lands! 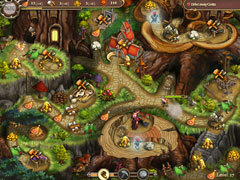 -Defeat the Black Knights, Trools and Witches. 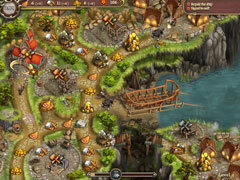 -Utilize the many skills of Ragnar's Allies to win.